RUSH: Fifty-two percent approval. Even Washington is taking notice of this, even though it is in the Rasmussen Report's poll , which Washington doesn't pay much attention to because it's not from one of the so-called inside-the-Beltway polling units. But even in CNN's poll Trump is up. Gallup poll, 45%. Trump is up, way up. Washington is beside itself, folks. It doesn't know what to do with this. It doesn't understand it. As much effort as they have expended in trying to drive Trump out of office by driving his numbers down, they just keep skyrocketing. Does somebody want to tell me the government shutdown hurt Trump? It never does! It never does hurt Republicans. Republicans have yet to learn this. You couple the government shutdown with the State of the Union address and Donald Trump's sitting there at 52% approval. This is his best in 23 months and it's happening as the talks on the border wall are continuing. And the best guess here is that the Democrats are gonna try to jam Trump up on this 'cause they do not want a wall. The Democrats, I don't care what they say, the Democrats do not want any effort to impede the flow of illegal immigrants into the country. They don't want a wall. They don't want a fence. They don't want new agents. They don't want anything that would interrupt the flow. That is the bottom line. And so there isn't any compromise here, much like there isn't any compromise on much of anything else issue-wise. But it's stunning here. I cannot describe for you how the Never Trumpers on our side and the Democrats are looking at this 52% approval, and they're beside themselves. I don't know if you will see them actually portray their feelings like this when they visit cable news outlets on their various panels. But I'm just telling you inside their very existence they are frustrated and angry, and they can't believe it. And he was referencing the establishment of NATO and the Marshall Plan, rebuilding Europe after defeating Germany, making sure the Germans never even have a military again in case they once again experience a rise of Nazism, never again would they be allowed to have a military to exploit it. And the United States set itself up as the general leader of this New World Order with the primary enemy being the Soviet Union and began the Cold War, and that became a new existence. All of that -- I'm really abbreviating time here -- all of that led to what then became globalism. Now, what is the primary feature of globalism? Well, it's not what you think. It's not that everybody orients itself to a global type existence with nations of one point of view all unifying and having a global identity and reach versus enemies also global but with different points of view. The real fundamental element of globalism is the abandonment -- and let's just talk about the United States, for example, because that's what we care about and since we were the leaders of this post-World War II new order thing that began. And, by the way, the intentions there may have been honorable. I'm not even gonna comment on that because the real point here and what has enabled Donald Trump to continually run circles around these people is that in order for this global order to be created, there's something that had to be forgotten or ignored or relegated to a sphere of irrelevance. And that is the American citizen. We used to have a country even during World War II and prior to that where the focus of everything was the American citizen, the American citizen's way of life, the American citizen's opportunity for prosperity, education, you can call it American exceptionalism, American greatness or whatever it was, but it was traceable directly to our founding. This is a country founded for the citizens. This is a country founded limiting government's role over the citizen. The citizen was the focus, the person, the American individual was the focus. That was abandoned. And the American citizen, the American individual took second place or even sometimes third place to the new objectives that were found in globalism. And then that went on for 30 or 40 years. And the roll of the citizen in determining what America was became less and less and less, despite citizens voting in elections, what they expressed during elections mattered because candidates campaigned ostensibly caring about the citizens and what they wanted and promising to implement those things if elected. We all know what happens. They get elected based on the campaign so they get to Washington and we don't see much evidence of that upon which they campaigned. Now, this was a slow process, but it was steady, and it resulted in the citizen becoming less and less of a factor in the say-so of his own country, be it foreign policy, be it domestic policy, be it what have you. 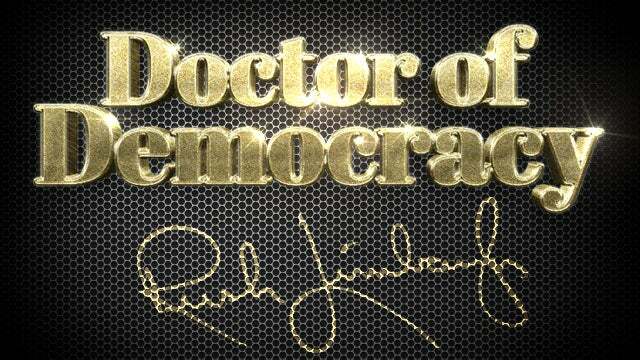 And the betterment of the citizen, the overall life of the citizen, that's what made this country great. It was slowly, not so much abandoned, but relegated to secondary status as the elites slowly but surely began to realize or think that they knew much better than the citizens because they knew more. There's Klobuchar talking about global warming in the snow. Ha-ha-ha. Trump with another hilarious tweet . It happened again. Another Democrat goes out, announces campaign for presidency on global warming in the middle of a blizzard! Anyway, this slow erosion of the role of the citizen in what kind of country we are, the citizens knew it -- either consciously or very much aware of it, depending on how involved they were -- and this erosion continued. And things that didn't seem to be of any real benefit to the American citizen continued to happen. Yeah, winning World War II, that was a tremendous effort and benefit to the American citizen. It guaranteed and enshrined our freedom against perhaps what was the greatest threat to it up to that moment in time. It then created a brand-new threat by establishing the Soviet Union as the alter-ego enemy and the establishment of the Cold War. Well over time, the elites grew more powerful and more influential and more distant from the people, the citizens. And then they began to acquire even more and more disdain and contempt, if you will, for the citizens of this country on the basis that they can't possibly know what's good for them. It's classic liberalism rearing its head and slowly taking over the governing structure of the country -- not just elected officials, but people in the bureaucracies, career appointees and so forth -- to the point that both political parties provided essentially lip service to the importance of citizens and how much they were cared about, how much policy was created and implemented for the benefit of citizens, the people who live here. And it just continued to erode. And people began to feel like there was no difference in the two parties. I had more people calling here telling me that as the years wore on, and people were frustrated and tuning out, not even paying attention to politics, didn't believe what they were told. It was understandable. Jumping forward a couple-three decades, here comes Donald Trump, and what's Donald Trump? Donald Trump's got the slogan "Make America Great Again," and all it means is repurposing the United States in service of America and in service of American citizens, putting them first. This has now been called "white nationalism" by the people who are deathly afraid of what Trump wants to do here, because Trump wants to destroy globalism. I don't know whether he's instinctively doing this or if he's strategically doing it. 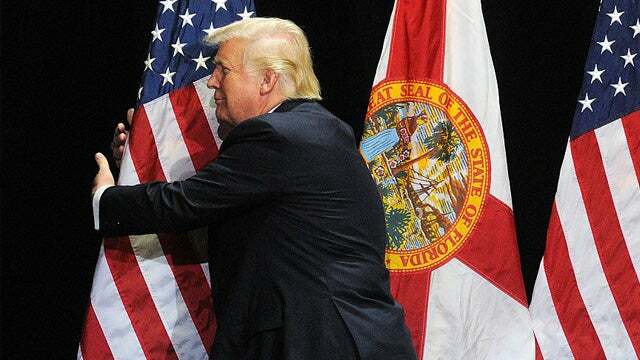 If he knows that he's... Trump is not an ideological guy, but he loves America. He knows what made America great. 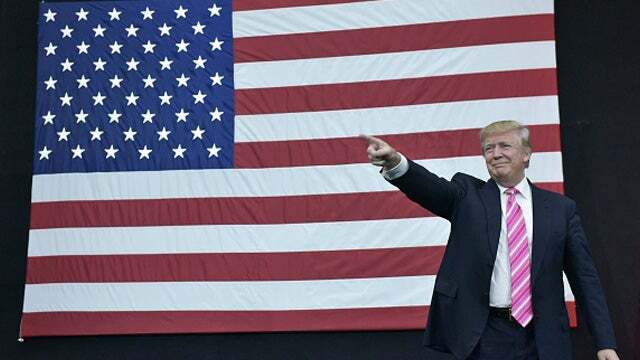 He knows how America was founded and formed, and he knows what's necessary to bring America back to what it was and what it can be -- and so, he's doing it. He's plowing ahead and he's ignoring all these critics. People are criticizing him and his family, trying to destroy him, investigate him, ruin him. He just keeps plowing ahead, and he's outsmarting them (either instinctively or strategically) every day. And they can't come to grips with this because in their minds they're the smartest people in the room and in the world, and they are the most informed and they're the most qualified and they are the only ones who have the full awareness and knowledge of all going on in the world and what America's purpose in the world should be, what America's role should be. And, of course, that look -- that view -- subordinates the concerns and the status of the American citizen. The American citizen thus becomes a bit player in the role of his or her own country. Trump said, "Enough of this," and is in the process now of reversing that entire worldview. That's why... To be very brief about it, that's why there is so much irrational rage and angst and anger. A, that these people have been outmaneuvered. B, that they have been outsmarted. C, by this guy! The orange-headed ogre. They can't come to grips. Now we've got Trump at 52% approval! After a government shutdown. After 2-1/2 years of the intelligence communities of Barack Obama -- the FBI, the DOJ -- literally trying to ruin Donald Trump using everything they know how to use. After 2-1/2 years of the media -- the combined national media -- with 90 to 92% negative, defamatory, slanderous coverage. Donald Trump is sitting there at 52%. I guarantee you, they're gonna be at their wits' end. They can't... If this continues, if Trump's creeping poll numbers continue on their upward trajectory, it's going to mean that Donald Trump has the citizens, the people of America behind him. Now, this is not gonna cause the people Trump is beating and defeating to stop and take stock and consider that maybe they're going to have to change because the American citizens are not buying it. Because the American citizen's public opinion doesn't really -- in all of this -- matter. But it does matter in terms of the project, the objective of getting rid of Donald Trump. They were gonna get rid of him before the 2018 midterms. They were gonna get rid of him by way of the Mueller report and impeachment. They're gonna get rid of him clearly in time for the 2020 election is. But if they don't get rid of him by then, then they'll clearly and surely defeat him in 2020. Yeah, but with what? As each day occurs, the Never Trumpers, the Democrats, the leftists -- all of these people who are arrayed against Trump -- are faced with the reality that they have failed in something that they've never really failed at. If they target somebody to be destroyed, they can make it happen. If they target somebody to be ruined, they can make it happen. They've gotta be at their wits' end over this. A, losing their positions of clout, their positions in this global order that they have spent decades building and establishing and finding spots for themselves in. So this is why, my friends, the policies and the personality and the existence of Donald Trump is called "white privilege" or "white supremacism." They are doing anything they can to defame what Trump's agenda really is. They're doing anything they can to impugn it and to criticize it by using popular terms of the day that they consider to be successful accusatory terms: "white privilege," "white nationalism," "white racism." That's not at all what Donald Trump is about. Race and what Donald Trump is doing do not intersect. He doesn't have a racial thought in his mind in relationship to his American agenda: "Make America Great Again," the reconstitution of America. All Trump is doing is taking America back or wants to take America back. Not to the past, not to the fifties, not to a moral fifties of Ward and June Cleaver. But to take it back to a time when the American citizen mattered first! The American citizen was the engine that made this country work, and the American citizen was the focus of policy, the focus of education all for the betterment of the American citizen. That ceased to exist at least decades ago. Now with Trump at 52% approval and after the State of the Union address and after the government shutdown and after two years of steady defamation, slander, you name it... It's so good, the Daily Mail, the U.K. Daily Mail has headlined with a story: "Trump's Approval Rating Among Likely Voters Soars to His Best in 23 Months at 52% After State of the Union Address as Border-Wall Shutdown Talks Intensify -- Rasmussen Reports poll as Trump at 52% approval, his best showing in 23 months... Significant up-swing since government-shutdown low of 43%." This is a nine-point gain since the shutdown! RUSH: Let me tell you what else happened during this period of time that Trump's approval number jumps up to 52%. 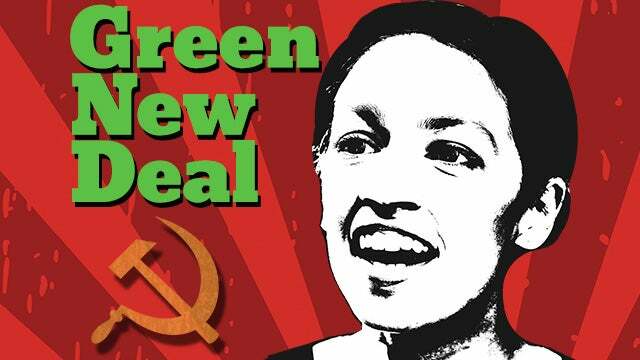 Alexandria Ocasio-Cortez rolled out the Green New Deal, and this is hilarious in and of itself because after the reaction to it -- and it was a fact sheet. They put out a fact sheet that backed up the actual publishing of the Green New Deal. It was the fact sheet that mentioned they would pay people who were unwilling to work and ban airplane travel. So a panic ensued, and Cortez and some of her people said (sputtering), "Th-th-th-that's a Republican trick! "We never wrote any of that. That was never intended to get out. Somebody hacked us." The same old, "We were hacked; that's not what I really said." They even sent somebody out to Fox News and the Tucker Carlson show to blatantly lie about this . They got caught. It doesn't matter, though. Seventy Democrats have now signed on and endorsed this thing! It doesn't matter what's in it, and I have developed a new strategy that I think will explain what's actually going on with the Green New Deal, which I'll get to as the program unfolds. In addition to that that took place during the polling period (accent impression), "Ralph No'tham of Virginia announced that it was okay that terminate the life of a newly born indentured servant after it was born." But that didn't get him in trouble. No! That's practically been forgotten. Because it was also learned that Ralph Northam appeared in a picture in a yearbook wearing blackface next to some people in Ku Klux Klan robes and pointed hats. And Ralph Northam now having to defend his-self against the charge of being a racist pig. So Ralph Northam went on CBS yesterday and you know what you know what Ralph Northam said? Where is my sound bite here, Ralph Northam? Grab sound bite No. 17. Nope. Nope. Nope. Ralph Northam said, "We're celebrating..." I'll find the sound bite here, but he said, "We are celebrating the 400-year anniversary of the arrival from Africa of people in indentured servitude in Jamestown." (interruption) No. 6, yeah, but I don't have time to play it now. I'll have the sound bite so you can hear this when we get back. What Ralph Northam said about killing babies has been totally swept under the rug.